Nothing left to do but unpack! You will be impressed by this dynamite home! Great open concept. Professionally remodeled with virtually everything new. Brand new kitchen with granite countertops, under cabinet lighting, and brand new Whirlpool stainless steel appliances. Beautifully stained hardwood floors throughout the entire home. Recessed lighting. Brand new windows, doors, baseboards, and trim throughout the home. Remodeled bathrooms. Newer hot water heater and newer furnace. Huge carpeted basement awaits your ideas for more bedrooms, bathroom, or theater room. Brand new driveway leads to your spacious 2.5 car resided garage with new overhead door, opener, and service door. Located in the heart of Oak Lawn near local amenities, transportation, and award winning public and private schools. No pets. No smoking. Credit/Background check required. 3 FICO credit scores above 700 required. No prior evictions or bankruptcies. 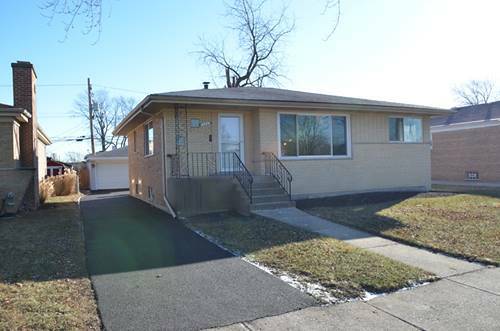 For more information about 10237 S 52nd, Oak Lawn, IL 60453 contact Urban Real Estate.